Today’s lawyers are more mobile than ever. They are being pulled in a dozen directions: taking client calls, appearing in court, and working on the go. Are you prepared with everything you need to get work done, anytime and anywhere? Before you’re ready to take on the (mobile) world, you’ll need to make a few decisions. Are you carrying two phones or taking client calls on your personal mobile number? Carrying a single phone that handles all of your calls, personal and professional, can blur the lines between work life and home life. It’s much easier to convince yourself to handle client calls outside of business hours when your phone is already in your hand. There’s the challenge of having your personal cell number listed, resulting in business solicitation calls to your private number. Add the question of professionalism and it’s clear that running your business with a single number isn’t for everyone. On the other side of the coin, having two phones also comes with its own set of problems. The most obvious of which is the simple—and probably familiar—struggle of keeping track of both devices. Silencing, answering, forwarding calls, taking messages – plus keeping them both charged! It can be a lot to handle. Two lines, one phone! A two-in-one deal gives you everything you need to run your personal life and your business. It empowers you to better route and manage your calls. Many small business owners turn to a call-forwarding service , forwarding their published business number to a personal cell phone. One other simple solution for a two-line plan for your cell phone is Ruby Receptionists’ Choose Your Caller ID feature. 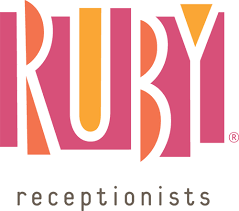 If you don’t know Ruby Receptionists, Ruby is a virtual receptionist service—a team of customer service experts devoted to building trust with every caller—making current and potential clients feel special while making you look good. The friendly, professional live receptionists can answer with your custom greeting, transfer callers to you wherever you are, take messages, collect intake, make follow up calls, and more. The Ruby mobile app is part of every Ruby plan. The app acts as your telephone command center, allowing you to change when/where you are taking calls, see your calls and messages at a glance, and select which number you want to dial out from. With Choose Your Caller ID, you can dial out from your personal cell phone as if you were calling from your business phone. The number appearing on the caller ID matches the number you’ve published for your business—callers never know the difference! And what if you are making a personal call and want your cell number to appear? Not a problem! You’re given a choice of numbers every time you call out from the Ruby mobile app. Having two lines on a single phone—allowing you to keep your personal number to yourself, while still managing your business from the same device. More freedom, flexibility, and savings—Choose Your Caller ID eliminates the need for an office phone. Ruby can provide you with a local number or host your current number, empowering you to leave your landline (and its bills) in the past. Superior call quality—The Ruby app routes calls through the cellular network rather than over WiFi, giving you a more reliable calling experience, with fewer dropped calls and better sound quality. Further, Ruby can host your business number for you free, eliminating the need for a carrier. Don’t have a business number yet? Even simpler—Ruby can provide you with one. The price? Also free! You’ll have the flexibility and freedom of two phones without the hassle or worry of juggling devices. With the Choose Your Caller ID feature, you’ll bring all of your business-related phone bills down to one service and one device: Ruby and a cell phone! 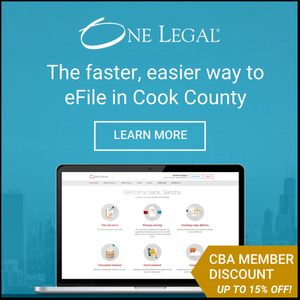 Members of the Chicago Bar Association receive exclusive pricing –to learn more visit www.callruby.com/chicagobar, or contact the Ruby team at hello@callruby.com or 866-611-7829.